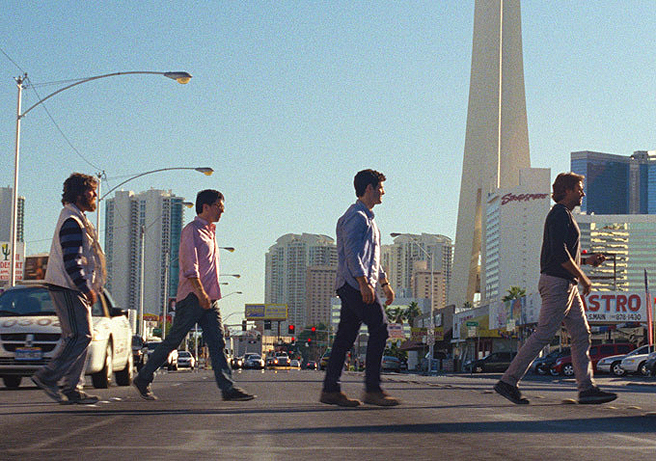 The Hangover Part III is the mostly enjoyable, but also mostly perfunctory conclusion to a trio of comedies that started out in a very true place: examining the way that one guy who no one knows or is really friends with always ends up at a bachelor party, and thus changes the group dynamic in a big way. Part III, however, is essentially a heist movie, dutifully built around moderately staged sky-diving, building-repelling and alarm-disarming action sequences. The marketing materials tout this as the final chapter of the Hangover “trilogy,” and as such there are a few nice send-offs for the characters. The principal players are, as always, very likeable, but the humor feels a little neutered in favor of the high-speed genre shenanigans. A welcome Melissa McCarthy turns up about halfway through, but otherwise it feels like the aspirin is kicking in, the room has stopped spinning and time has finally come director Todd Phillips and the cast to stop nursing the original Hangover.